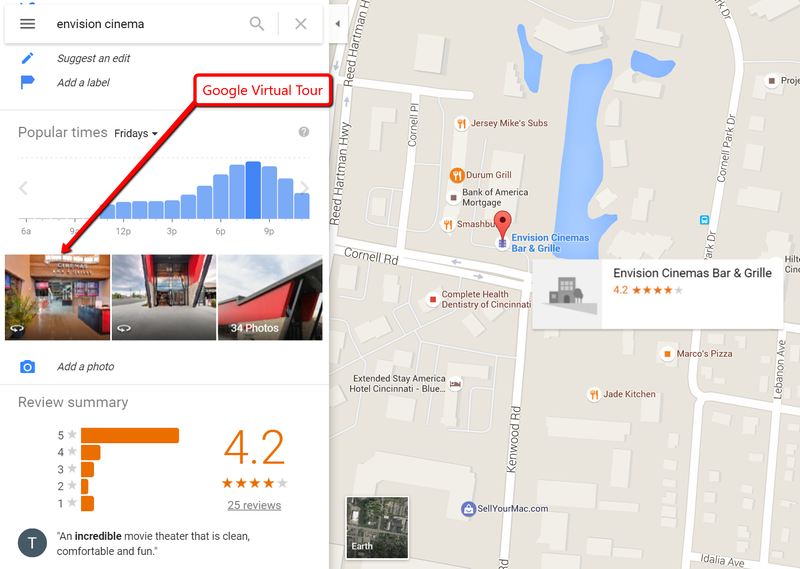 Your Google Virtual Tour can be added to your website using tools already available in Google Maps on a desktop computer. Using Google Maps you can create an iframe that can be easily embedded into your website. 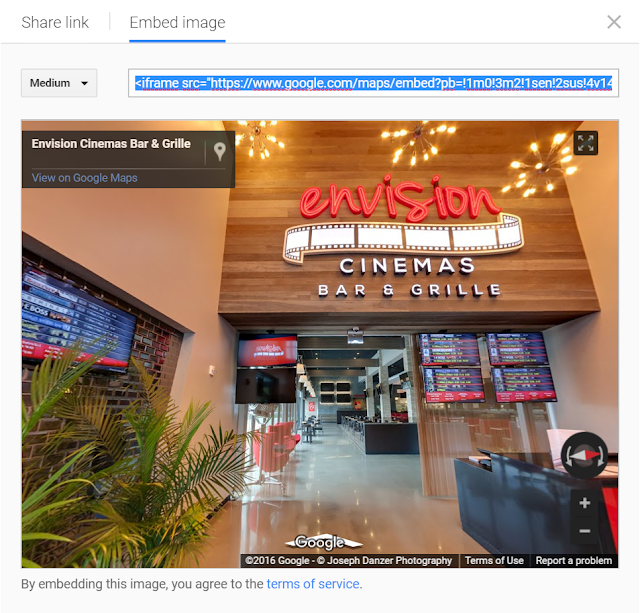 Follow the instructions below to embed your virtual tour on your website. Search for your business and click on the virtual tour. Navigate through the tour and choose the view you wish to share. Click the 3 vertical dots in the top left hand corner of the screen, next to the business name, and choose the “Share Embed Image” option. Click the Embed image tab. Copy the code and paste it into your website development software. You can choose between a small, medium, large, or a custom size window based on how you would like it to display on your website. 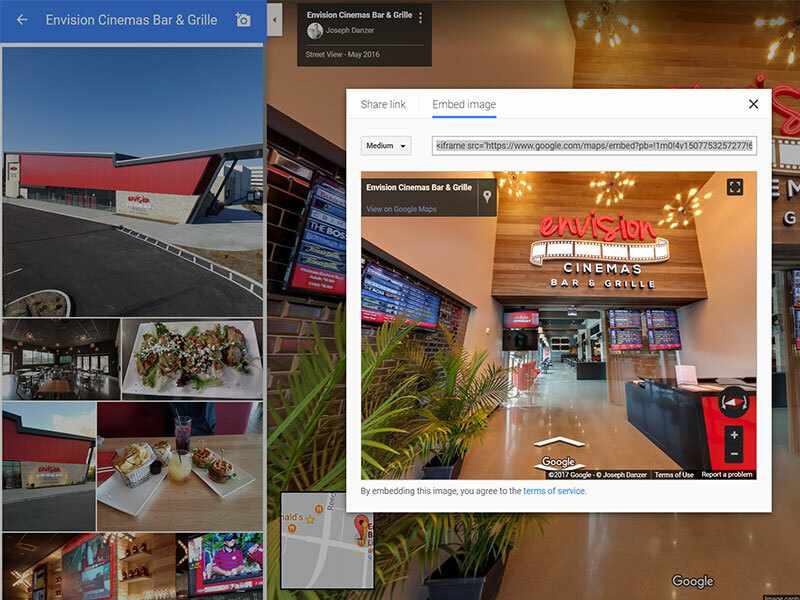 Take a moment and check out the examples of businesses who have embedded their virtual tour into their website below. If you need help adding the iframe code to your website feel free to reach out our photographer Joseph Danzer or contact your website developer.